Are you ready to rodeo?! Join us in supporting our local rodeo participants by wearing your snazziest western duds on Friday, February 22. The Houston Livestock Show and Rodeo promotes agriculture by providing a family-friendly live entertainment experience that educates the public, supports Texas youth, and showcases Western heritage. The mayor of Houston and the Harris County judge present proclamations each year declaring Go Texan Days. 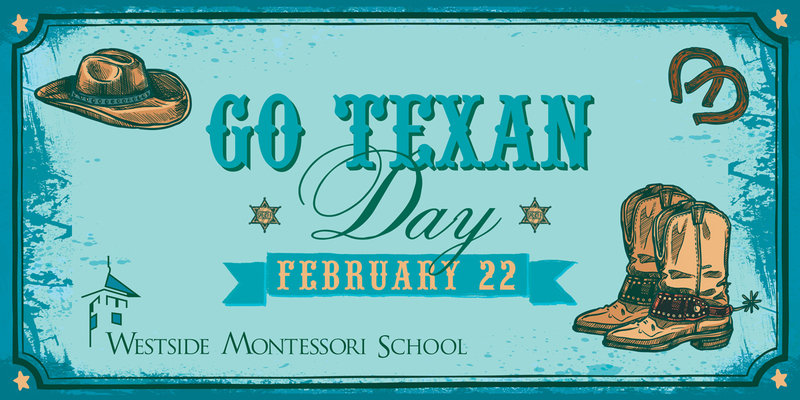 Go Texan Days last the duration of the Rodeo, but most businesses and schools encourage employees and students to dress up and celebrate Go Texan Day the Friday prior to the downtown parade, which will be held Saturday, February 23 at 10:00 a.m. The parade route begins at Bagby and Walker streets, travels from Travis to Bell, and from Bell to Louisiana, before turning on Lamar and ending at Lamar and Bagby streets. Visit rodeohouston.com for more information. or call 281.556.5970 for more information.